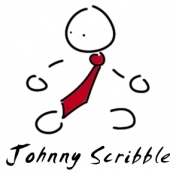 I recently discovered a really cool and fascinating animated series called Johnny Scribble. Its about a well dressed (ok, well, i like his tie!) stick figure who faces endless threats of of mobile digital mayhem orchestrated by his arch nemesis Bowtie Bibble. The series is drawn and animated on an iPad using Red-Software’s Animation Creator HD app . The high quality and clean animation in “Johnny Scribble” demonstrates some really stellar possibilities with the medium. It is also one of the best displays of iPhone/iPad animation I’ve come across to date. Check out Episodes 1 & 2! This entry was posted on Thursday, April 28th, 2011 at 16:40and is filed under . You can follow any responses to this entry through the RSS 2.0 feed. You can leave a response, or trackback from your own site.